Five former energy regulators have suggested that too much regulation may have hindered competition among energy suppliers, maintaining high prices. They suggest that since 2008 regulation has been too aggressive. The former regulators include Stephen Littlechild, head of electricity regulation from 1989 to 1998, and Sir Callum McCarthy, head of the current regulator Ofgem from 1998 to 2003. Their arguments are set out in evidence to a recent competition enquiry. In July the CMA (Competition and markets Authority) launched a full scale enquiry into the working of the energy industry at the request of Ofgem, amid widespread and long standing concern that gas and electricity suppliers are able to keep on raising prices, free of any real competitive pressure, even when wholesale prices have been falling. The former regulators, who also include Clare Spottiswoode, head of gas regulation from 1993 to 1998, say that Ofgem's own interventions in the way the industry is run have imposed extra costs on it, and have also forced energy suppliers to eliminate some cheaper tariffs. 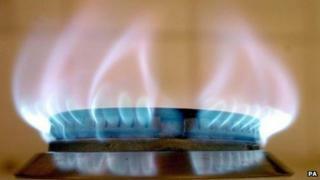 Ofgem said it would pay "close attention" to the views of past regulators. But it denied that regulation and competition were working well before 2008 and only took a turn for the worse as a result of its more interventionist approach after that date. "Many of the current problems with retail competition in the energy market were showing before 2008 and the regulatory and policy environment has changed significantly since then," a spokesman said. In their letter to the CMA, the former regulators say that "regulatory interventions to promote more consumer engagement can increase customer and supplier transactions costs, leading to lower customer benefits including via higher prices, and weaker rather than stronger competition." "Regulatory interventions can also affect suppliers' ability to compete as well as their incentives to do so," they add. Ofgem has recently changed the industry's rules so that energy suppliers are now restricted to offering just four tariffs. This means some cheap special tariffs for "vulnerable" customers such as the elderly and the poor have been withdrawn. Suppliers have also been stopped from offering cheaper tariffs only to new customers, while refusing to offer such deals to existing ones. Stephen Littlechild told Wake Up to Money on Radio 5live that changes made by Ofgem "seem to be restricting competition". He said that in trying to simplify the market, Ofgem had reduced the number of deals on offer and the effect was that "customers are less interested in shopping around". The CMA enquiry will last into 2015 and could, in theory, recommend the break up of the big-six energy suppliers that dominate the supply of gas and electricity to domestic and business users in the UK.